Lot Detail - John Douglas Read's 1903-04 OHA Toronto Marlboros Game-Worn Wool Hockey Jersey with Great Provenance - Style of Jersey Used by The Marlboros Senior Team in Their 1904 Stanley Cup Challenge! John Douglas Read's 1903-04 OHA Toronto Marlboros Game-Worn Wool Hockey Jersey with Great Provenance - Style of Jersey Used by The Marlboros Senior Team in Their 1904 Stanley Cup Challenge! With their formal applications accepted to admit teams to both the Ontario Hockey Association’s Intermediate and Junior divisions in the fall of 1902, the Toronto Marlboros clubs were first outfitted with a uniform that saw only singular-season use by the Junior club. These simple wool numbers utilized striped collars and cuffs, along with a monogram-styled “M” placed over the chest, interlocking on either side with both “H” and “C”, for “Hockey” and “Club” respectively. The Junior Marlboros sophomore campaign in 1903-04 – while now recognized as the Seniors - would see the club then attired in the offered style jersey, with the addition of legendary HOFer Tom Phillips – soon to lead the Kenora Thistles to their famous Stanley Cup championship – along with Thistles netminder Eddie Giroux. This augmentation allowed the Marlboros to claim the Senior OHA championship, going undefeated during the regular season, poised and ready to make a bid for Lord Stanley’s hardware. Consigned directly from the family of Marlboros player John Douglas Read, we have an extremely rare and most-likely unique Toronto Marlboros high-neck wool sweater, with this example identical in style to those worn during the Senior club’s 1904 Stanley Cup challenge against the legendary Ottawa Silver Seven. Heavy knit and of the highest quality obtainable during the late-Victorian Era, no labeling remains, with the antique garment measuring-out to roughly a modern size 34. Consisting of thick wool finished in royal blue, a white chain-stitched lion detailed with red applique threading and raised standard graces the chest, with white accent bands employed over the waist, cuffs, collar and shoulders. A pair of accompanying cabinet photos both show Read as a player; one with the 1902-03 Marlboros Intermediate team, the other, with the 1907-08 “Elevator” Hockey Team (Winnipeg). While Read played with the 1903-04 Intermediates, it’s unclear whether he also played some part with the Senior club during their Stanley Cup challenge, with the possibility existing of the Intermediate club also changing their uniforms to the offered style. An excerpt from former-Prime Minister Stephen Harper’s masterfully written hockey work "A Great Game" states that “The Marlboros arrived with a couple of spares from their own system” (the intermediate team) for the best-of-three Stanley Cup challenge matches, with heavier wear on the sweater lending credence to use during the 1903-04 season with the Intermediate Marlboros. We were also able to confirm from a 1960 Winnipeg Free Press article that Read joined the staff of the Winnipeg Grain Exchange in 1904, assuring 1903-04 as his last season with the Marlboros. While assigning suitable adjectives for what could possibly be one of the oldest datable hockey sweaters extant is somewhat arduous, the thought of this example hailing from one of hockey’s early Stanley Cup challenging-clubs is downright magical. The sweater survives in praiseworthy condition, with the main blue body vibrant with rich colour retention, with the material still supple. A fairly large tear along the right side of the collar is noticeable, along with a small hole over the reverse. There are also a few small additional holes over the front band, with a small area of discolouration over the upper reverse. The 1902-03 Marlboros cabinet photo is approx. 17” x 20”, and in what appears to be its original frame, with a gorgeous image exhibiting wonderful clarity. With just light wear to the frame itself, the photo remains in gorgeous high-grade condition. 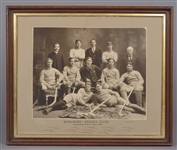 The 1907-08 Elevator Hockey Club cabinet photo is approx. 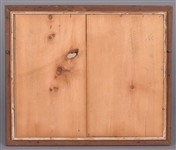 15 ½” x 18 ½”, with a clean and clear image, with some minor staining along the lower right side. 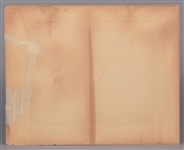 There is also a fairly large section of the matte to the right of the photo that has broken off, with this piece re-attached by way of masking tape over the reverse. The Marlborough Athletic Club had long been active in Toronto team Sports. It set up its hockey branch in 1899, initially joining the Toronto Lacrosse Hockey League. In their first season in the OHA, in 1902-03, the junior team were the “Junior Champions of the OHA”. The team was commonly known as the Marlboros or Marlies and was also nicknamed the Dukes, named after the Duke of Marlborough. In 1903-04, the Marlboros were the Senior OHA champions. They began the year in impressive fashion, hosting the powerful Montreal Wanderers for two games. The Marlboros tied one match against this squad of former Stanley Cup champs and lost the other by a single goal. They then went undefeated in the OHA season. A challenge for the Stanley Cup was filed by OHA’s secretary Hewitt before the playoffs had even concluded. The Stanley Cup trustees accepted the challenge and the series was scheduled to be a best-of-three in the Dominion capital. The games were played on February 23rd and 25th 1904 with the Ottawa Silver Seven prevailing. The 1903-04 intermediate team won their group finals by beating Owen Sound 21 goals to 11 and the Toronto Waverleys 12 goals to 11 in two-games total goals series and advanced to the OHA intermediate playoffs were they were defeated in the quarter-finals. In 1904-05, the Marlboros repeated as OHA Senior champions. A number of players from the Marlboros went on to play with the Toronto Professional Hockey Club founded in 1906. In 1927 the Marlboros became a farm team to the Toronto Maple Leafs and became one of the most dominant junior team sin history winning the Memorial Cup in 1929, 1955, 1956, 1964, 1967, 1973 and 1975.